Listed below are just a handful of quality and strategy related publications by David Hutchins, including his highly rated current book, Hoshin Kanri. 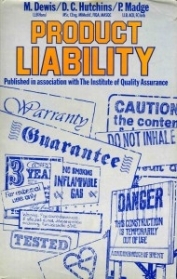 This literature forms the basis for the Chartered Quality Professional qualification. The results of the quality revolution have been mixed. Global competition has elevated the most successful companies, in terms of providing goods and services, but even then initiatives such as Total Quality, Business Process Reengineering and Six Sigma have been heralded as the solution, only to have been replaced with the next ‘big thing’ when it came along. Hoshin Kanri is not the next big thing in quality, it is a strategic approach to Continuous Improvement that provides a context for all of the individual elements such as Six Sigma or Lean Manufacturing. David Hutchins’ “Hoshin Kanri” shows you how to develop a dynamic vision for Continuous Improvement; to implement effective policies to support it; to link key performance indicators to Six Sigma, Lean Manufacturing and Quality Circles/Kaizen and to sustain a strategy led programme for improving business performance. In Japan and America Quality Circles are already fully established. Throughout Europe, including the UK, the need for them is growing rapidly and many leading companies now recognise their value. By encouraging the workforce at all levels to contribute their unique knowledge and skill in relation to a particular problem greater productivity and profitability are achieved, along with more job satisfaction. This Handbook is a practical, realistic guide to QCs. It explains how to start a Quality Circle and why; and how to run it, what the pitfalls are and what positive results may be expected. David Hutchins is a leading authority on QCs, having introduced them to many large companies, including Wedgwood, Honeywell, Ciba-Geigy, Rowntree Mackintosh and Corning Medical whose case studies (among others) are reproduced in the book. Such has been the response to his seminars and presentations that the author has also included, in a final section, no fewer than 152 questions he has most often been asked about Quality Circles. This is a book for those in senior and middle management who really do want to improve their Company’s performance. Increasingly QCs are being featured on short management and other executive and student courses. Hutchins’ dynamic approach to QCs provides an excellent blend of experience and advice for all concerned. Explains the concept of Total Quality. Shows how the quality approach is relevant throughout an organisation from corporate objectives to individual development plans. Analyses the participative techniques used to reach Total Quality. Uses case studies to show that Total Quality leads to enhanced productivity, raised profitability, and greater motivation for all an organisation’s people. David Hutchins has established an international reputation for the introduction of participative systems of management across a wide range of industries in Europe, from Wedgwood to Ciba-Geigy. He is acknowledged to be responsible for bringing the concept of Quality Circles to Europe and is ranked amongst the world leaders in its implementation. 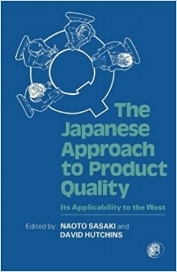 A pioneering survey of the impact of Quality Control Circles as developed in Japan on Western business and industry. The papers are written by Japanese and Western businessmen and describe QC application in major concerns including Rolls-Royce, Toyota, Hughes Aircraft and Wedgwood Pottery. 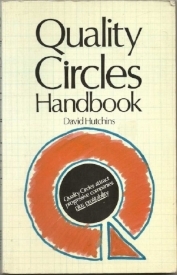 The book includes an up-to-date bibliography on Quality Circles. Total Quality is the hot topic in management philosophy. It offers all organisations the opportunity to reduce costs and improve productivity, sales and profitability. Using a simple, straightforward style, Achieve Total Quality defines Total Quality and shows how its huge potential for reducing costs can be applied in any company or organisation. By putting into practice the advice and guidance contained in Achieve Total Quality both private and public company directors and senior managers will have an ideal basis for bringing their organisations to state-of-the-art performance. Building on the strengths of the first edition, this book was written with a desire to bring the realisation of the potential benefits of JIT to a wider audience. It has been influenced by the growing use of the European Excellence Model as a reference for self-evaluation of business performance and consequently includes a new chapter devoted to this area. A further development has been the growing awareness of the value of Lean Manufacture and Total Productive Maintenance (TPM) and its relevance to JIT. Again, additional material is now included to reflect this change. JIT is not just stock control or quality circles – to succeed it requires the commitment and enthusiasm of all employees, which in turn depends on visible and vigorous support from top management. 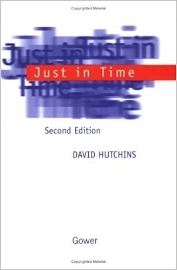 The principles underlying this concept have not changed but the field has matured and developed – this second edition of Just in Time takes this into account. In summary the message is this: look after the process and the product will look after itself. David Hutchins has one chapter in this famous book written by Quality guru Dr. Joseph M. Juran, who compiled an international history of managing for quality–a landmark volume of enormous importance and unquestioned authority. Each chapter describes the management of quality during a specific span of time and in a specific area of the world through the ages. A richly diverse group of authors, each one a renowned authority on the international history of quality, was chosen to produce this expansive work that focuses on the broad perspectives of quality, rather than on specific methods or industries. Dr. Juran, drawing on a lifetime of experience and research, offers his thoughts on the history of managing for quality in the U.S., and gives a remarkable summary tracing worldwide trends and the likely directions for quality into the next century. 3. Reduce the likelihood of the risk materialising by the application of the quality sciences and disciplines. David also included what is probably the first text on how to manage a Product recall if the worst happened. This text has been repeated many time since in different forms. Being closely associated with Professor Kaoru Ishikawa for several years prior to his death, and having invited him to the UK in 1979 for his once in a lifetime visit to Europe, David Hutchins was invited by the organising committee from JUSE and also the Professor’s wife to write a chapter in this work attributed to his life. It is placed in memory of his lifetimes work in a shrine to his memory in Tokyo. David is very proud to have been asked to do this and it is probably his most treasured accolade. For David, Professor Kaoru Ishikawa stands out amongst all men and the human race owes a huge debt of gratitude for the positive impact on the working lives of literally millions of people as a result of his work.